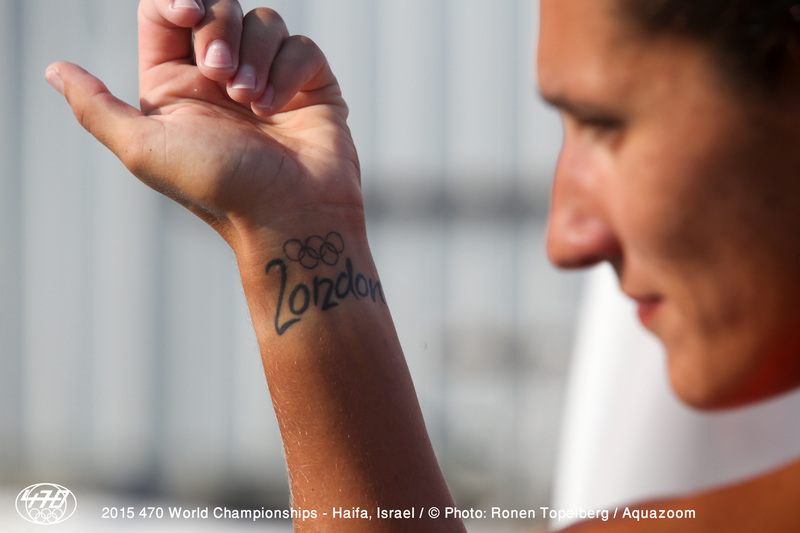 Going into today’s Medal Race there was far greater certainty of the outcome in the 470 Women, than the 470 Men. 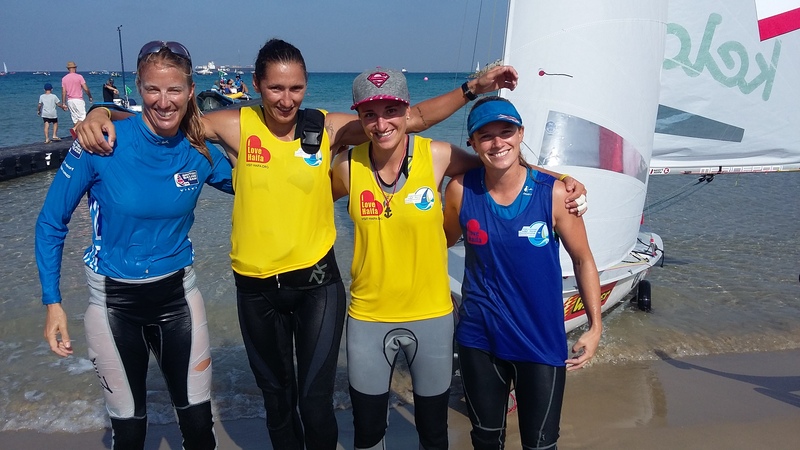 Ultimately it was gold to Lara Vadlau/Jola Ogar (AUT), silver to Hannah Mills/Saskia Clark (GBR) and bronze to Camille Lecointre/Helene Defrance (FRA). “Yesterday was a fantastic day and we made a fantastic job, keeping it simple,” explained Vadlau. 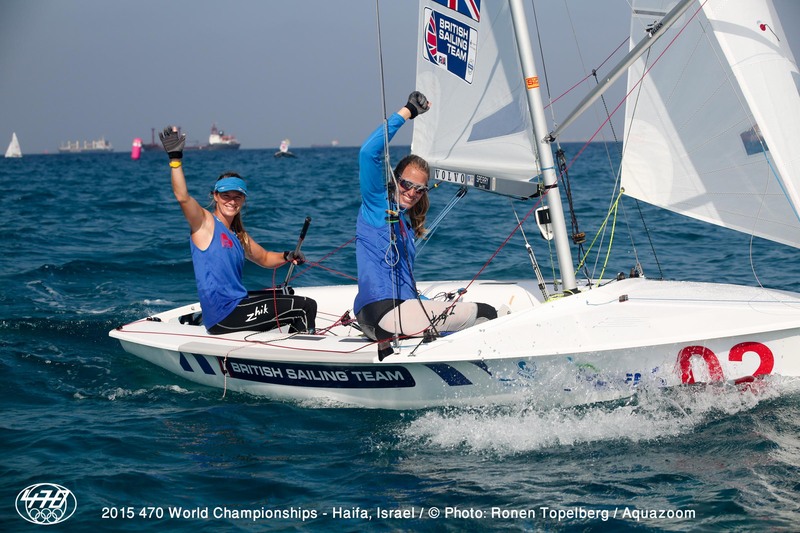 In the Medal Race,the worst case would be if second placed Hannah Mills/Saskia Clark (GBR) won the race and the Austrians finished last, then gold would transfer to the British – an unlikely scenario by anyone’s prediction. Unbelievably that is exactly the situation they found themselves in during the first downwind as Vadlau explained. “I had since yesterday such a feeling. When people said come on it’s done, don’t worry, I mean 18 points, its all done, I was thinking that anything could happen. 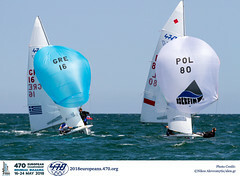 You never know in sailing and I saw that today in the first downwind today when we were last and the Brits were first. I thought I knew it, and then I said to myself, Lara now you have to press the button to push forwards and get some boats. But sailing is sailing and you never know or can be really sure. “It is really special," grinned Vadlau. 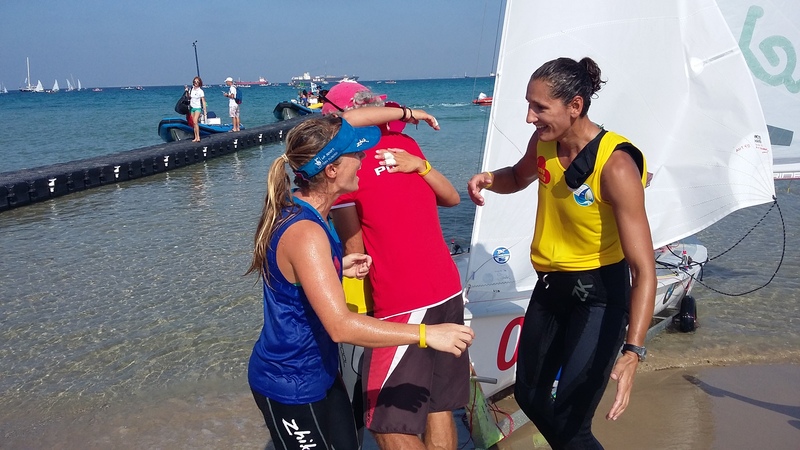 “We didn’t come here to defend our title as I had a really bad year with injury, and then we had not a really good boat and we had to fight back all the time. And then with all the hard work, it pays off. It feels amazing." Since partnering up after the 2012 Olympics and going through the process of securing Ogar’s nationality from Polish to Austrian, the pair have been on an upwards path. “I think this is for us as a surprise. 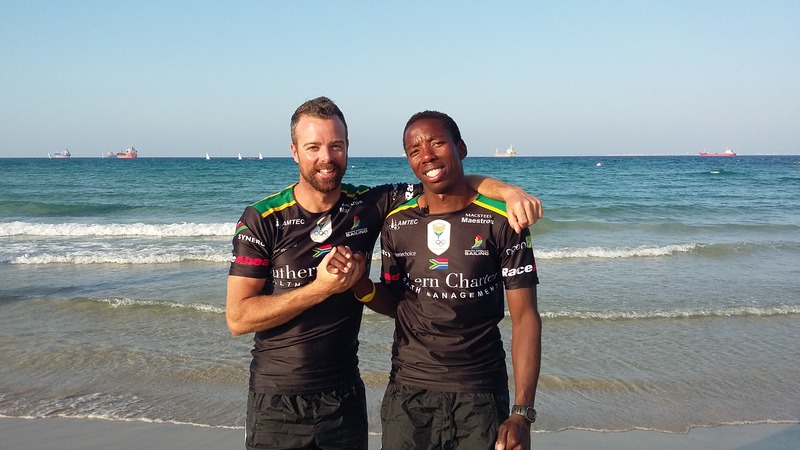 We knew we were well prepared before the Championship and could fight for the medal, but getting gold we knew we had to sail brilliantly," said Ogar. "Our new coach has enabled us to put our improvement to a really high level. 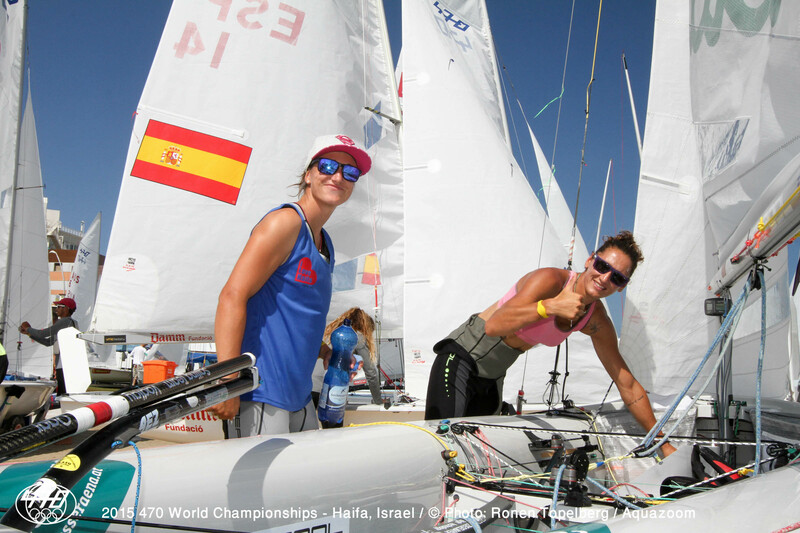 We put all our power to gain upwind and downwind and we just fought to the end, pumping like hell to gain. It’s hard to express what I feel inside. When you cross the line and win, it is just unbelievably nice. Second time for us is huge," she finished. Great Britain’s Hannah Mills/Saskia Clark, the 2012 Olympic silver medallists, had a mountain to climb today. 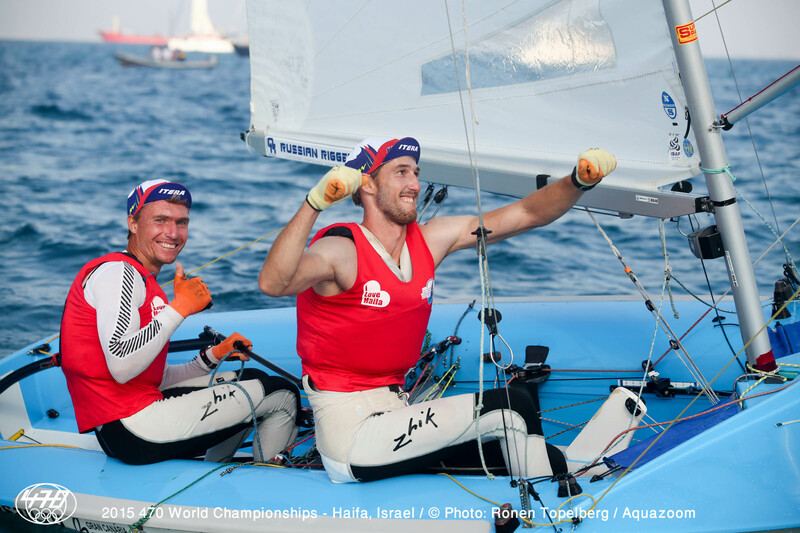 They had to win the Medal Race to have any hope of overturning the Austrians. Sailing an unbelievable upwind, they had the lead by mark 1, extending throughout the next three legs to win by around half a minute. “We really wanted to come out and have a strategy and execute that strategy well, which we did, and it turned out to be the right one,“ said Mills. 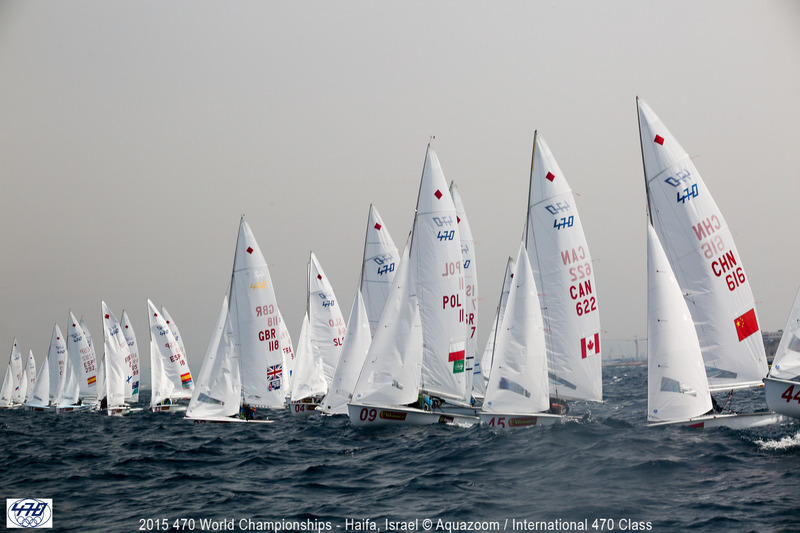 “It is super nice to execute a medal race how you want to and it is quite a high pressure situation. Even though we were guaranteed a medal there is still that glimmer of hope for gold and obviously you want to hang onto silver, so it is always stressful. It was a super exciting race. On the first downwind there was a tiny chink in the Austrian’s armour, as Clark continued, “We were having a discussion downwind about what to do, and whether to go defensive on the French, when Hannah said ‘hang on, the Austrians are near the back'. 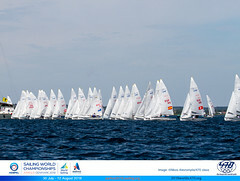 So we had a brief flicker of hope, but the Austrians sailed a great race and got quite a lot of boats back. 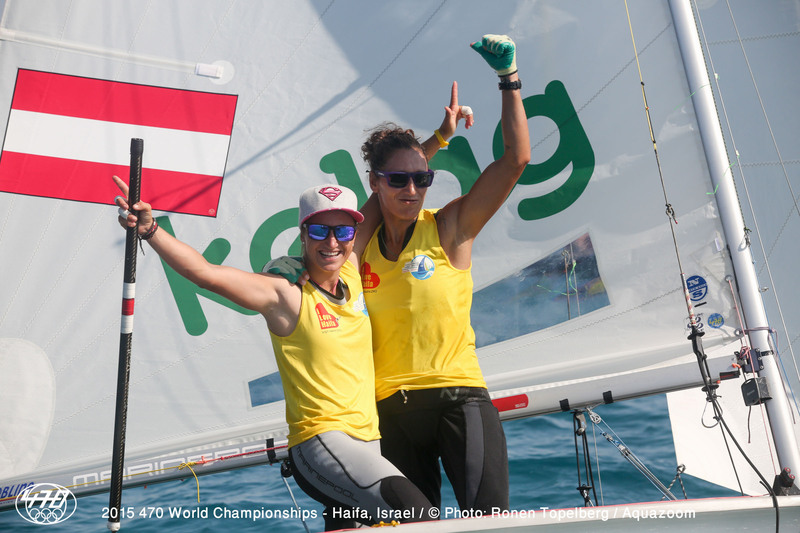 Hats off to the Austrians, they have sailed an amazing week and then yesterday they absolutely nailed it." 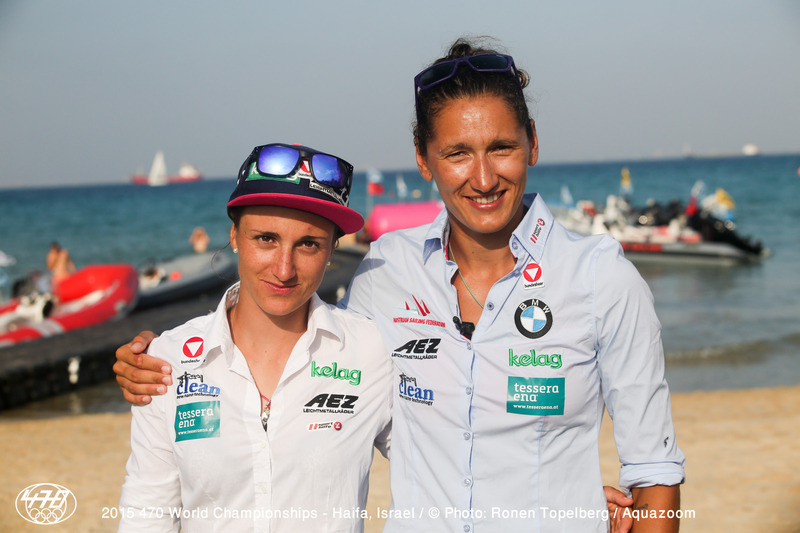 “The first Worlds we did together before was Santander and we finished fourth, so it is an improvement. This is all positive and I am glad because we are getting better and that’s good. 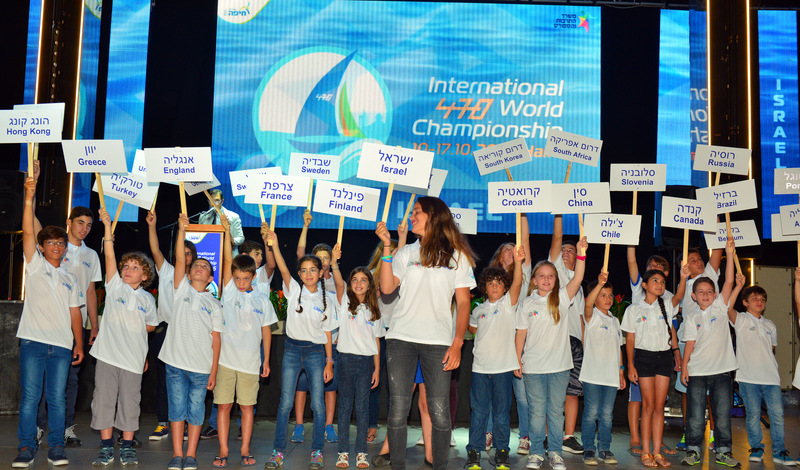 We are improving and this results show it,” commented Defrance. 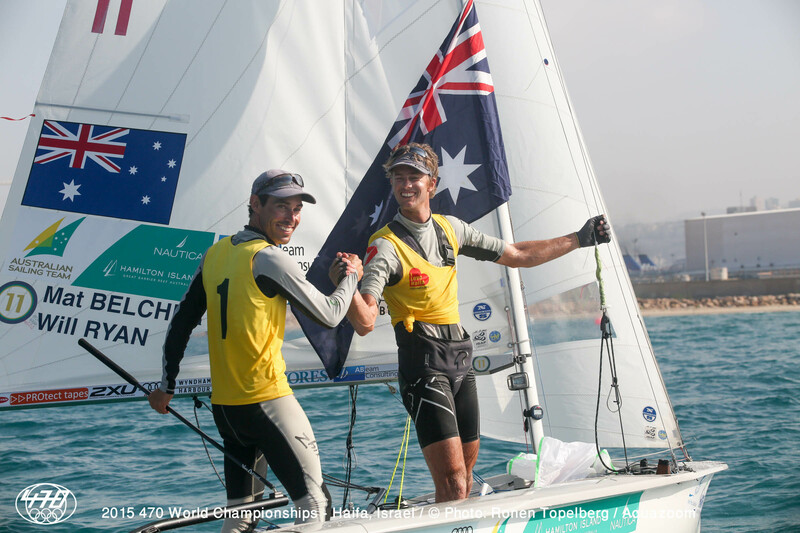 Smith/Ryan’s performance here has marked an impressive return to World Class competition after injury has forced them off the race track since the 2014 ISAF Worlds. “It’s been a tough year for us this year healthwise, so for us to come and do this is pretty special. 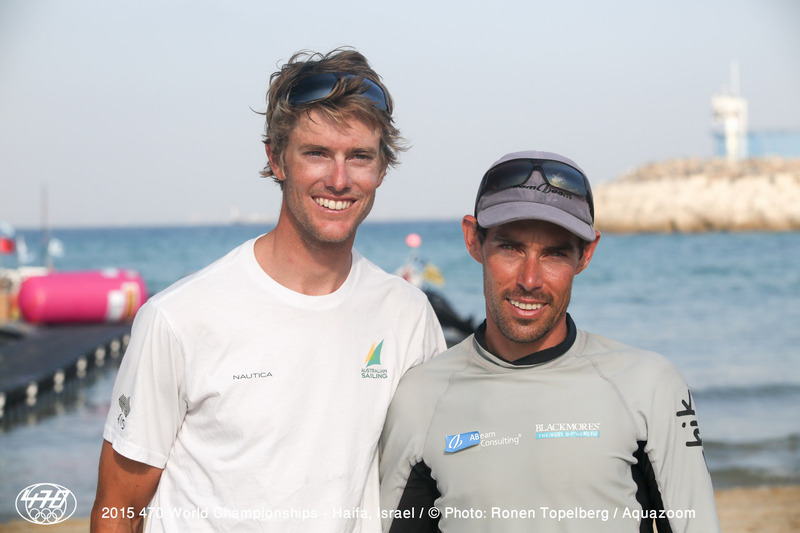 We have been out of the boat most of the year and this just proves what you can do,” said Smith. 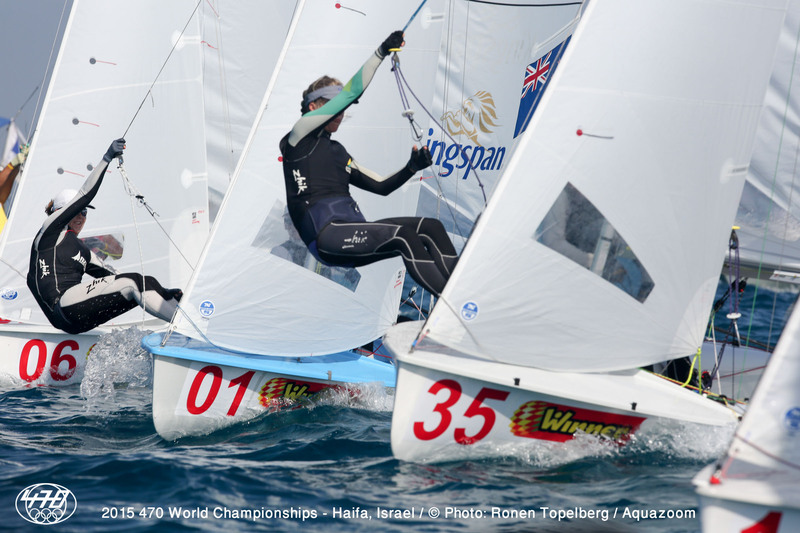 There was no fear of that as the Australians hurtled off the start line, taking the lead at the first mark, with Croatia right behind by the first downwind. 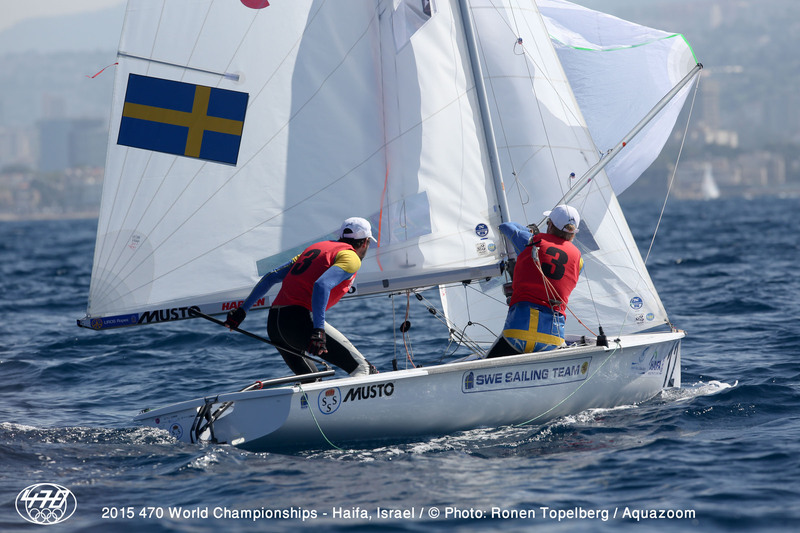 Heading back upwind, Spain’s Jordi Xammar/Joan Herp took over the lead, with the Aussies and Croatians settling into lanes behind, with Belcher/Ryan staying ahead to finish in 4th - enough for them to take gold. 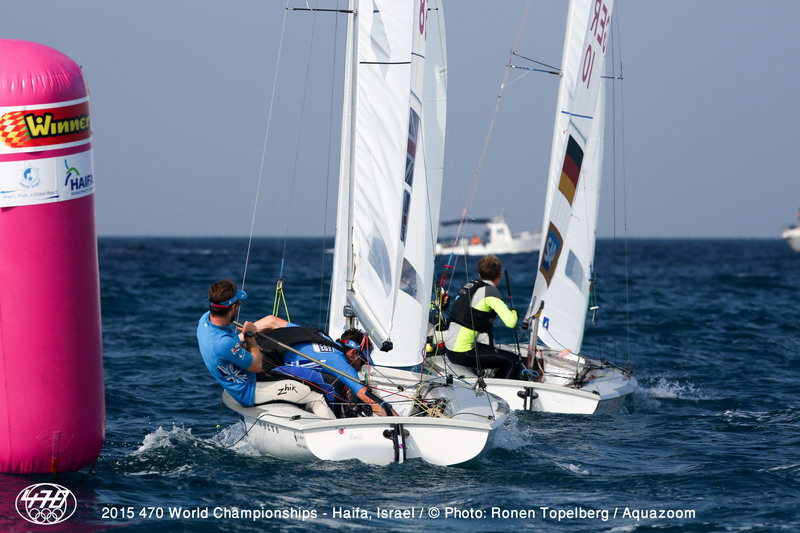 The gold medal marks their third successive victory as a team, and Belcher’s sixth 470 World Championship title in a row. 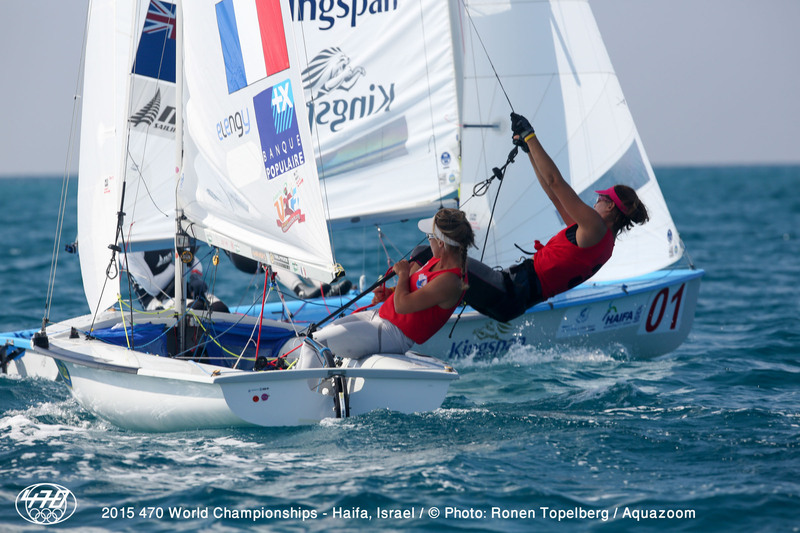 Former Optimist World Champion Fantela has stood on the 470 World Championship podium time and time again over the eleven 470 World Championships contested with crew Igor Marenic. 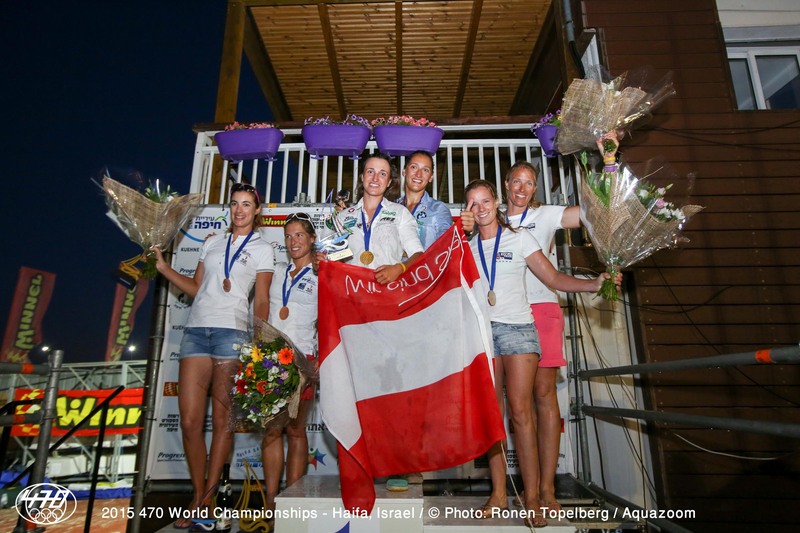 Since winning the 470 World title in 2009, the Croatians have added three bronze and one silver medal to their trophy cabinet – with 2015 marking their second silver. 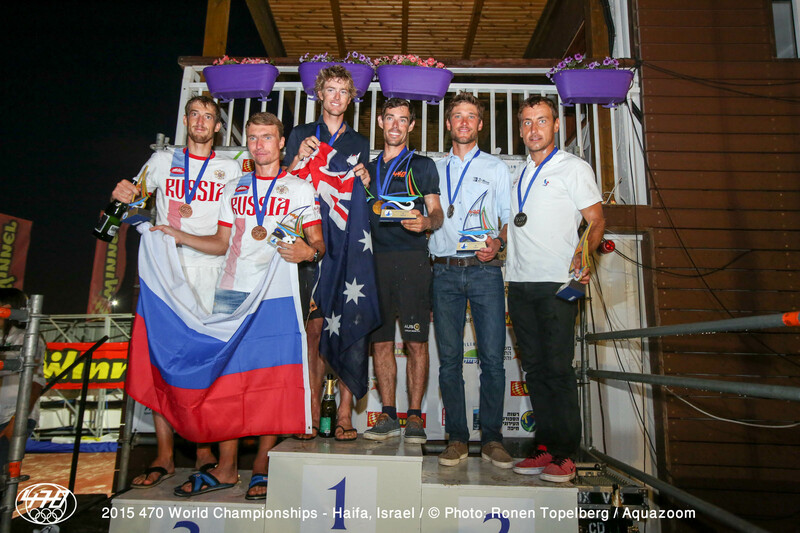 Russia’s Pavel Sozyskin/Denis Gribanov made sailing history today, by becoming the first Russian team ever to win a medal at a 470 World Championship. 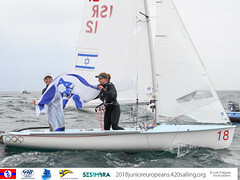 The pair sailed a superb series, finished the medal race in third, and easily claimed bronze, to mark a career best result. 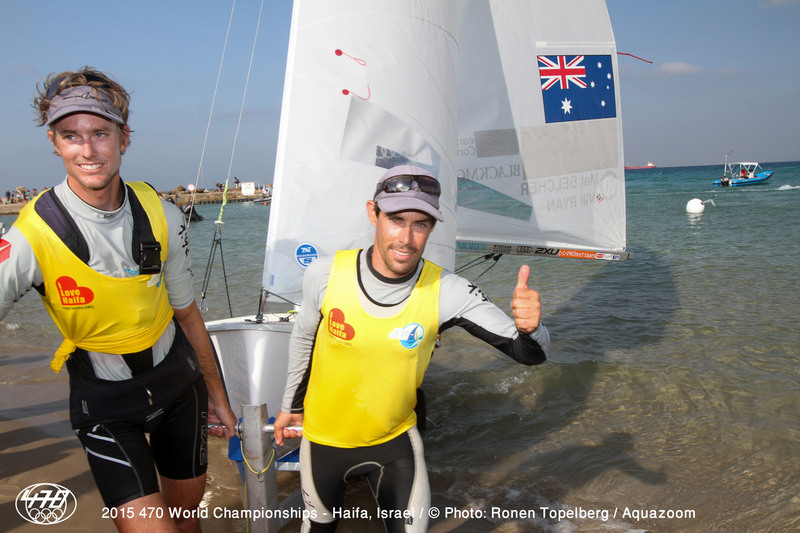 In a repeat of the scorecard at last year’s Worlds, the Medal Race win went to Spain’s Jordi Xammar/Joan Herp. 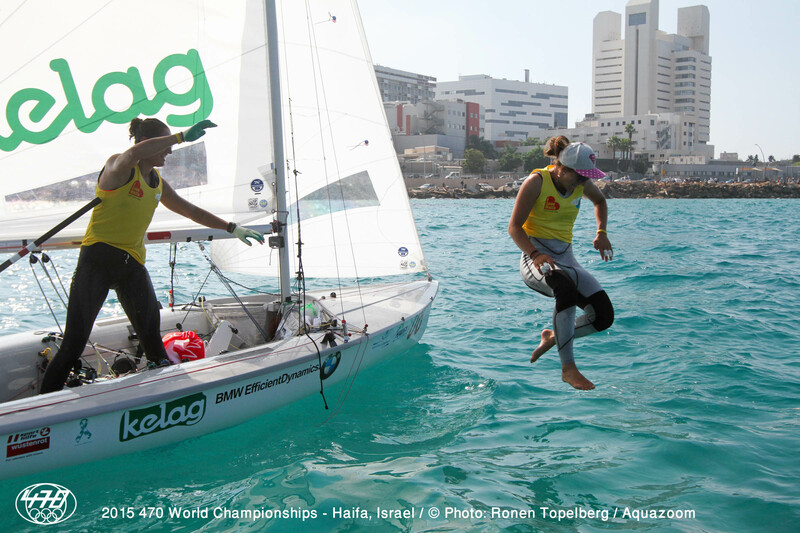 Four years after they competed in their first 470 World Championship, the fourth place finish marks their best ever result. 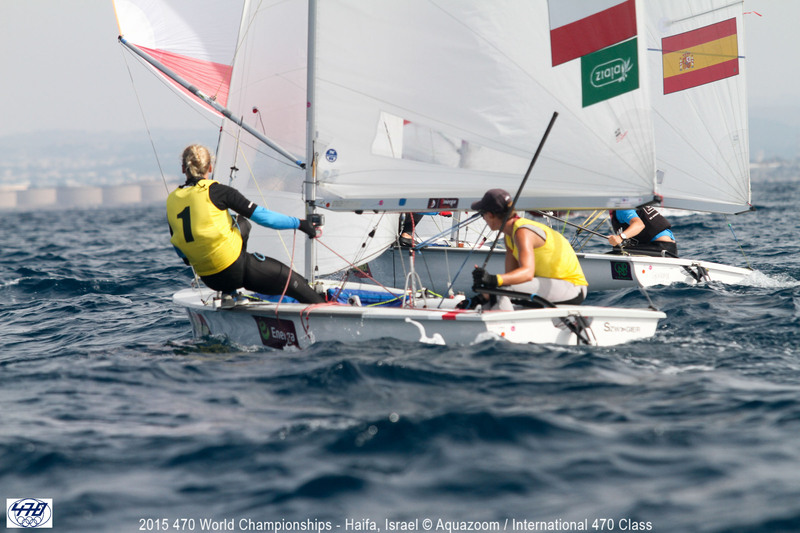 Up next on the 470 Championship programme will be the 2016 470 World Championship in San Isidro, Argentina from 20-17 February 2016, followed by the 2016 470 European Championship in Palma, Mallorca from 5-12 April 2016. 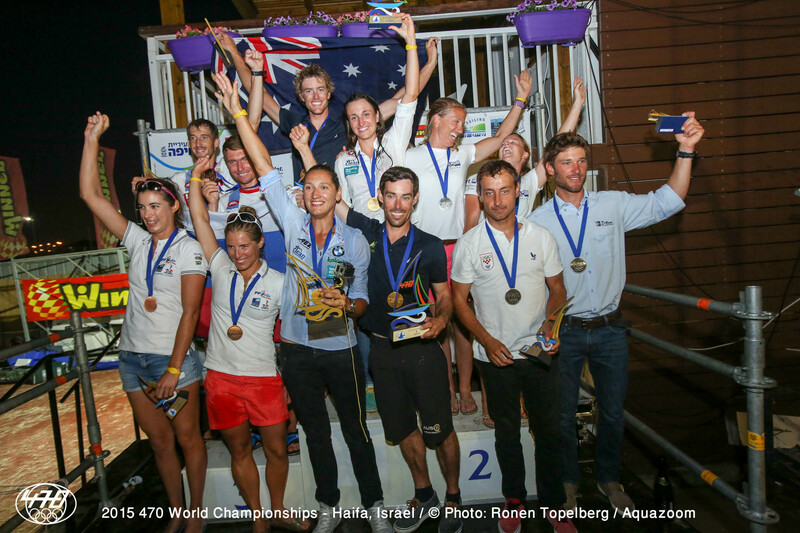 The 2015 470 World Championships was an Olympic Qualification event for the Rio 2016 Olympics, with 6 nation places on offer in the 470 Men and 3 in the 470 Women. 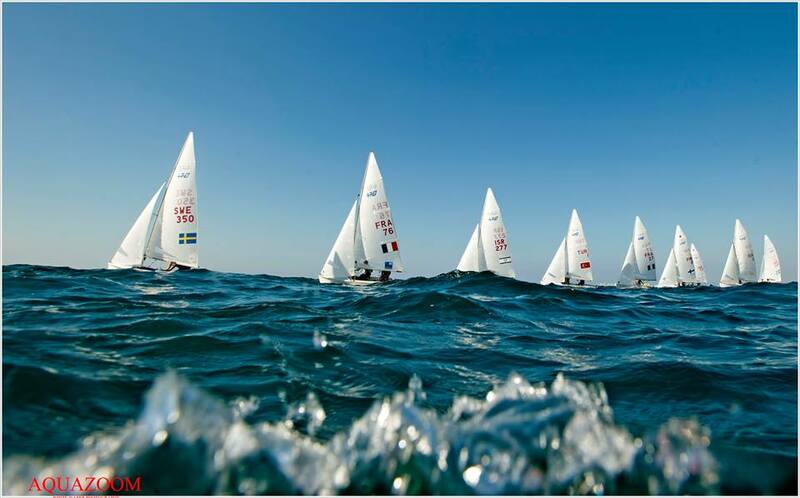 Find out more about qualification for the Rio 2016 Olympic Games and details of nations already qualified.